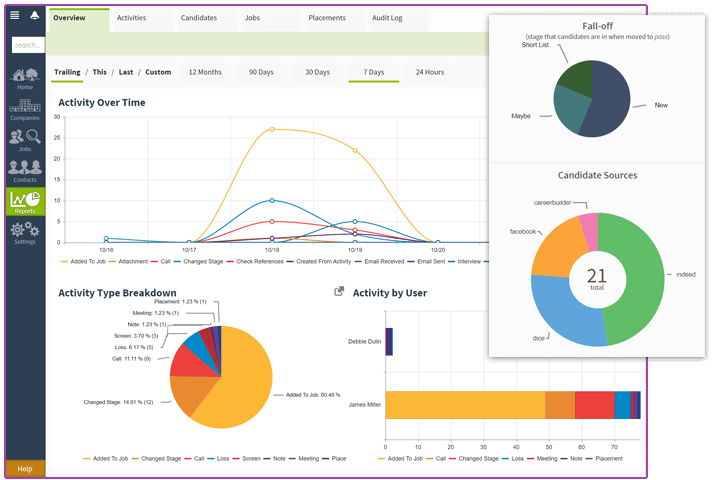 All-in-one Recruiting CRM + Applicant Tracking System. 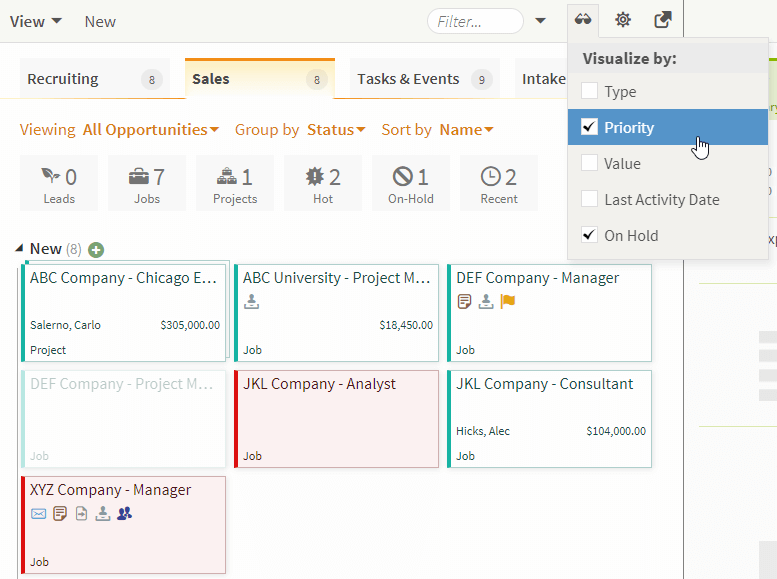 Manage and visualize Candidate Pipelines. Easily track the progress of your candidates. Record your interactions, manage task lists, and send e-mails right from your pipeline screen. Recruiting CRM + ATS: Keep sales and recruiting working as one. 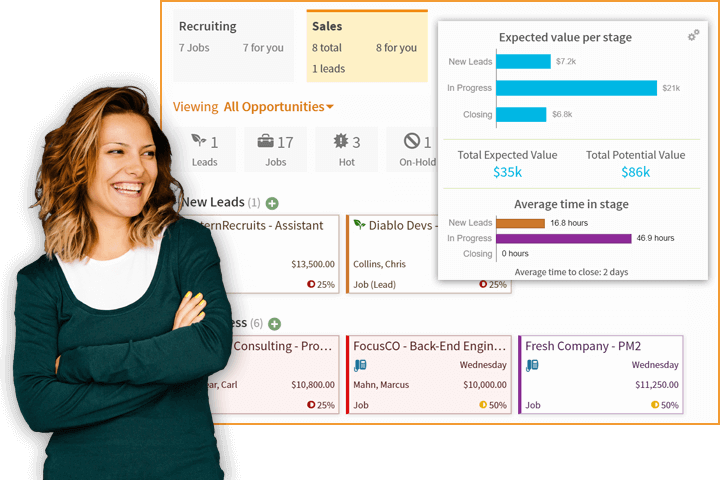 From lead to placement, manage your requisitions and orders right alongside your talent pipelines. Talent Relationship Management easy and automated. Automatic email and calendar integration with Office 365 and Gmail, mean you can focus on what’s important: engaging with candidates and customers. Take control of your recruiting database. Crelate integrates directly into your daily workstreams, making it easy track your activity. Duplicate detection and merge features help you keep things tidy. While our unified search and reporting make it easy to find the data you need when you need it. Crelate Recruiting Software is sized and priced to be just right for small to mid-sized recruiting teams.